Thank goodness the weather is mostly warm and sunny now so I can enjoy a cold and refreshing grab-and-go smoothie to kickstart my day. I love quick and delicious smoothies to start my day with. Smoothies are usually family and kid friendly, perfect way to sneak more fruit and vegetable in your or your kid’s (or husband’s/wife’s) diet. What I love about this the most is it’s full of vitamin and really boost your energy for the day. I made a few before, but this flavor combination is far the tastiest of all. 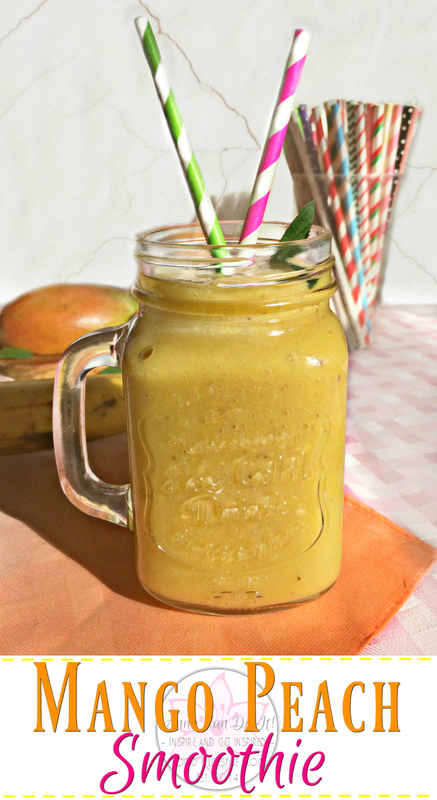 Mango and peach complement each other so well, also I pour a little orange juice in it to add a citrusy flavor and a ripe, frozen banana for the texture. So it’s a really quick and absolutely simple recipe, you can make in 5 minute. Therefore no excuse for skipping breakfast or not enough fruit and vitamin intake! Peel the mango and peach. Dice them and the frozen ripe banana to make the blending easier. Put the diced fruits to the blender. Pour the orange juice and the rice milk on the fruit. If you want to shake a bit up this smoothie, try to add oat for creaminess and extra fiber also worth to try it with avocado, spinach or kale! 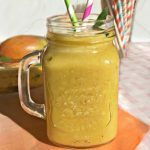 Makes sure you start the day with a delicious and filling (also preferably healthy) breakfast, this Mango Peach Smoothie is a great example for a healthy way to start your day! What is your favorite smoothie of all time and your seasonal favorite? How do you make sure you eat/drink enough fruit? Your favorite choice of breakfast? Make sure to visit my Start Here, About Me and Home pages for more posts! 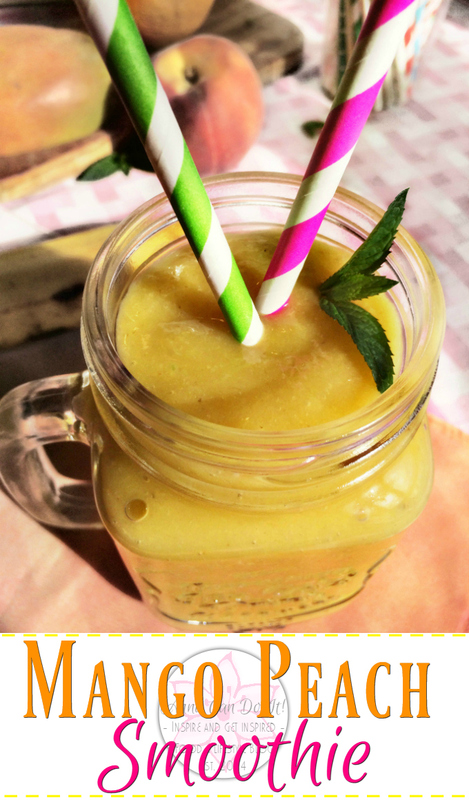 Perfect smoothie for the summer… The only thing is that we don’t get oranges this time of the year. Will try this without orange juice. This looks and sounds delicious! Definitely giving this a try as it’s so simple too. During summer I have a smoothie for bearkfast most days. Great recipe! Adding to my list. My kids love smoothies. My daughter just asked for mangos the other day. I agree – on the warm weather and the awesome flavours mango + peaches have! We don’t get a lot of really good mangoes here but I am overrun by lovely peaches (not complaining!) so this is definitely one to try! Yum! Looks yummy! I LOVE mango lately! Pinning for future reference! Yum! This sounds like the perfect summer treat. This is one of those recipes that you can almost taste without having even made it yet! Thanks for sharing it in our #InspiringFoodies linky! Any suggestions for adding protein powder?